Which Low Maintenance Yet Cool Pets Are Best for You? If you think only cats and dogs serve as perfect pets, you probably do not have an idea about how extensive the list is. There are people who opt for other low-maintenance pets when they cannot go for dogs, cat or capybaras. There are many out-of-the-box ideas you can try if your landlord does not allow you to keep dogs or cats. Let's find out more about some other options. It is easy to find some amazing animals that are perfect to live in close quarters because of their size and limited upkeep. Here are some options to consider. You can always opt for a budgie when your kids ask for a parrot. Going for a large parrot usually works like having a toddler in your home for up to 80 years, but budgies are better because these shorter-lived birds do not demand serious commitment but still carry the same appeal associated with their larger and more demanding cousins. You also do not have to worry about setting a weekly cage-cleaning routine. You can get a budgie for $20. You can opt for a guinea pig if your little one has asked for a pet that he can cuddle. They can be very entertaining because they squeal in joy when they are happy, and even jump and kick their heels up in the air. The good thing is that like hamsters, they do not require an exercise wheel and you do not have to worry about getting bitten either. Just keep in mind that you would require a right cage with at least four square feet of space to keep a guinea pig. It is also important to give your pig enough attention daily or else they will become scared and refuse to play. You can get a guinea pig at $30. The average lifespan for guinea pigs is 4-6 years. Known for their tolerance and gentle disposition, leopard geckos are beautiful lizards and are one of the best low maintenance pets. You should opt for them if you are interested in keeping a reptile as a pet. The good thing is that they would not grow longer than 10 inches, so there is no need to worry about having a dinosaur in your home. They are not very demanding either, as they would not mind even if you feed them every other day. They are easy to keep but they may cost up to $200 because they eat mealworms and crickets that you can find at pet stores but may have to spend a lot. Be sure to wash your hands thoroughly after handling your pet because these lizards are likely to have salmonella bacteria on their skin. These brilliantly colored fish will thank you for a big bowl of clean water and they will serve as great pets. The good thing is that they do not require serious maintenance like goldfish. They can come to the surface of the water to get oxygen, so you do not really have to worry about keeping their surroundings perfect all the time. They can even survive in the absence of a filtered tank. They blow bubble nests that make them look even impressive. 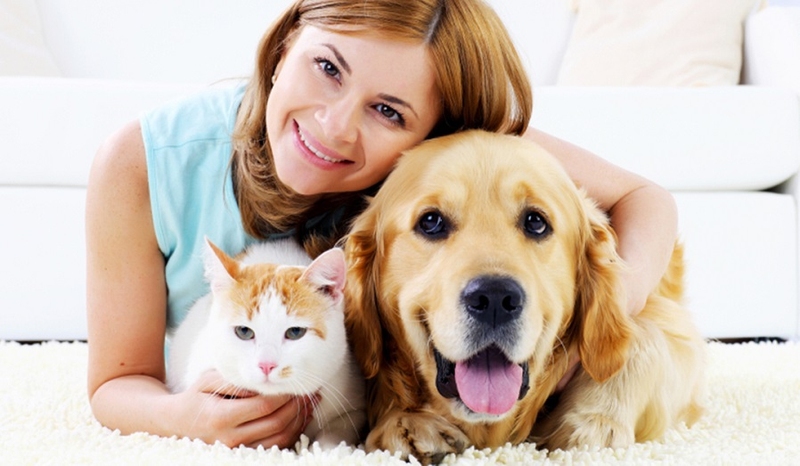 Even though they are low maintenance pets, you would still have to clean their home at least once a week. Their lifespan is 3-5 years though. If you are looking for a pet that would play with you at night, go for the spiky African pygmy hedgehogs. These palm-sized pets are not very demanding and only require a cage, wood chips, wheel, and water bottle. They love cat food. Just half an hour of human touch a day is enough to keep them happy. While they are quite amazing and sweet, you may not be able to own one in states like California, Maine, Pennsylvania, Hawaii, and Georgia where they are considered wild animals. And depending on their color, age and temperament, hedgehogs can cost from $70 to $250. Hamsters are everyone's favorite and do not mind hanging out on their own. You just need an aquarium or a solid-bottom wire cage to keep a hamster. They are adorable and love to spend time with people. You would require an exercise wheel for your new friend though. Overall, hamsters are among those low-maintenance pets which can survive on cheese water, pellets, and the occasional piece of vegetables. They are not noisy at all, so they are a perfect fit for anyone living in an apartment. These medium-sized birds are low in price and love to interact with humans, but do not demand a lot of attention during the day. They are different from other larger birds like a macaw or cockatoo in the sense that they do are not constantly in need of your attention. It is easier to keep their cage clean because they are smaller than parrots. Just spend some time forming a bond with them and they will be happy to live with you. If you have a little princess at home who loves Ariel, she would definitely appreciate the idea of keeping a hermit crab as her pet. You may require a large aquarium for your hermit crab, but your little girl will love it. She can even call it Sebastian! If you are looking for a combination of awe-inspiring cuteness and cuddle ability, look no further than dwarf pigs. They are small enough to be carried around with utmost ease – you can fit one in your medium-sized purse. They do not require much, but be sure to give them a blanket to cuddle into and play with. If you love reptiles and want one that requires little maintenance, try turtles. A turtle will look perfect in the family room. If you buy a baby turtle, you would have to take some care of it. However, they are maintenance free once they are mature enough. In terms of the species, turtles can vary in cost. The most common pet turtles, red-eared sliders, can cost as little as $20.